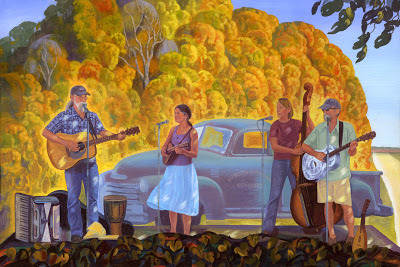 We are always excited when artist, Bryan Haynes pops in for a visit! Not only is he a brilliant artist, but he is also a genuinely kind person. 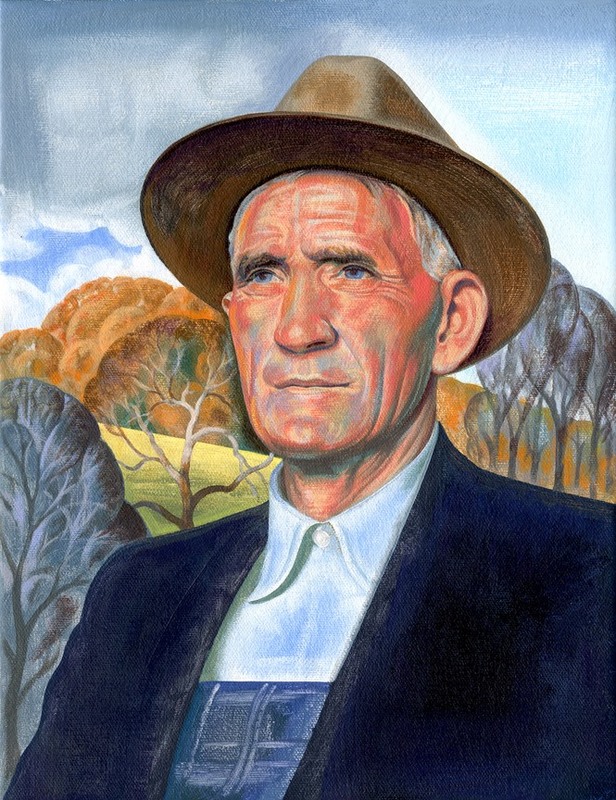 Haynes has been influenced by Regionalist painters and describes his style as "New Regionalism." 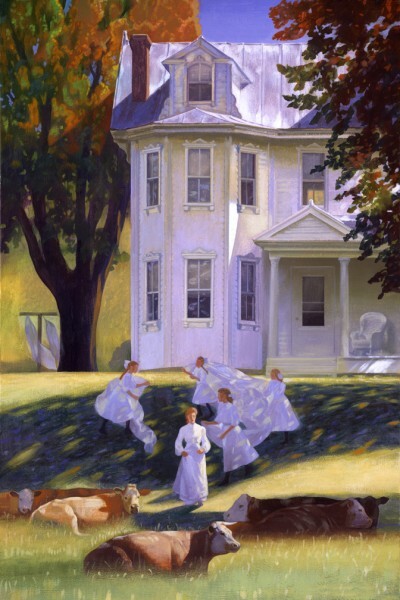 Beginning as a commercial artist, Haynes now spends most of his time painting landscape and historical pieces. 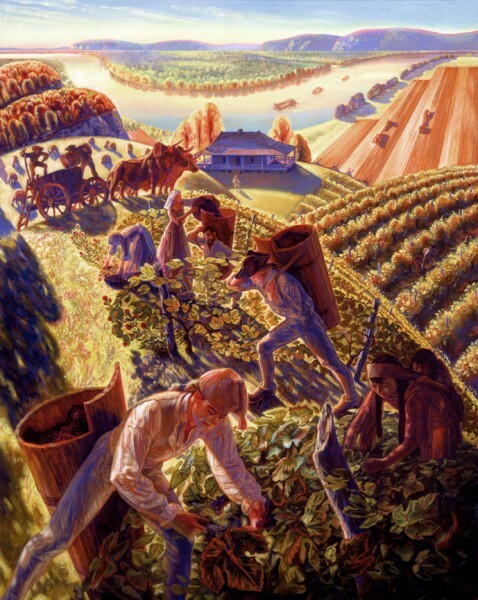 Much of his current work showcases the beauty of Missouri Wine Country. These are the originals that we currently have in stock. All are beautifully framed and ready to hang. Accidental Mystery Man, Becker Farm-Study, Chaumette Vineyards, Missouri River Country, Over Yonder, and Winter Rainbow. Join Us For Our 33rd Annual Candlelight Christmas Walk! Start your holiday traditions in beautiful Augusta, Missouri on Friday, December 4th & 11th from 5 to 10 p.m. at the 33rd Annual Candlelight Christmas Walks. Over a thousand luminaries light the way as visitors wander through the historic town visiting shops and galleries showcasing unique and distinctive gift ideas including hand-blown glass, local artisans, paintings and jewelery. Food vendors, restaurants, wineries & brewery pull out all the stops to entice the culinary pallet with traditional holiday fare. Hop on board the free antique trolley to quickly get around town or use it to join-in the scavenger hunt featuring fabulous prizes. This year’s theme for the scavenger hunt trivia questions will be “Christmas Traditions”. Experience the quiet, peaceful nostalgia and small town charm to get into the holiday spirit. Get away form the hustle and bustle and stay the night (or the weekend) at one of the area’s charming bed and breakfasts, cottages, cabins or guest houses, all beautifully decorated for the holiday season. Bring the kids and your camera because Santa is coming to town! Visit the Olde Wine Hall where you’ll find Santa on a throne surrounded by evergreens with twinkling Christmas lights and an antique sleigh. Santa is free to visit and any donations benefit the children of the Augusta Elementary School. Settle under a blanket and enjoy a leisurely horse-drawn carriage ride through the crisp winter air, then warm yourself around the bonfire while savoring freshly roasted chestnuts. Afterwards, enjoy Christmas caroling in the historic Ebenezer church or listen in wonder at the Winfield Chamber Choir or join-in with the Warden Family Carolers. Don’t forget to stop by the Augusta Visitor Center to purchase a limited edition “Historic Augusta” glass ball ornament. The first edition is of the historic 1861 Ebenezer Church with only 200 in print. Our goal is to create a unique series of tree ornaments that depict a historic building every year. These beautiful ornaments are sure to become a Christmas Tradition. Click on the link below for our town's printable flyer.